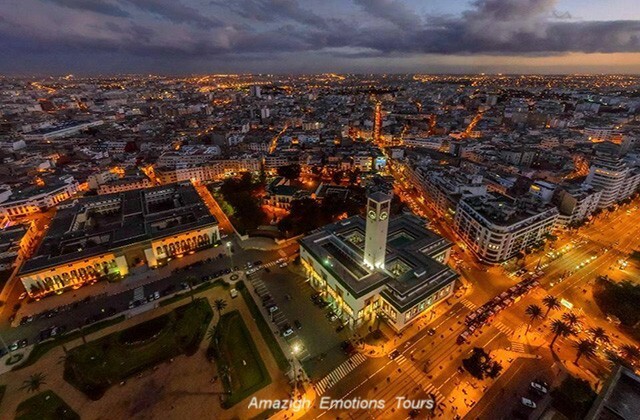 Day 1: Casablanca - Rabat (100 km): We pick you in Casablanca, the largest city and economic of the kingdom. 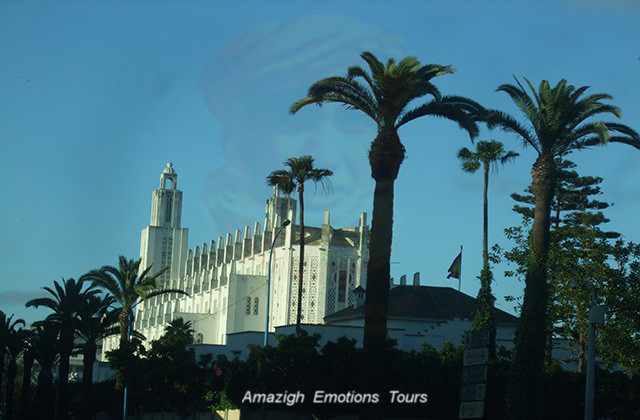 We'll visit the Great Mosque Hassan II and continuation to Rabat, the administrative and political capital of Morocco. 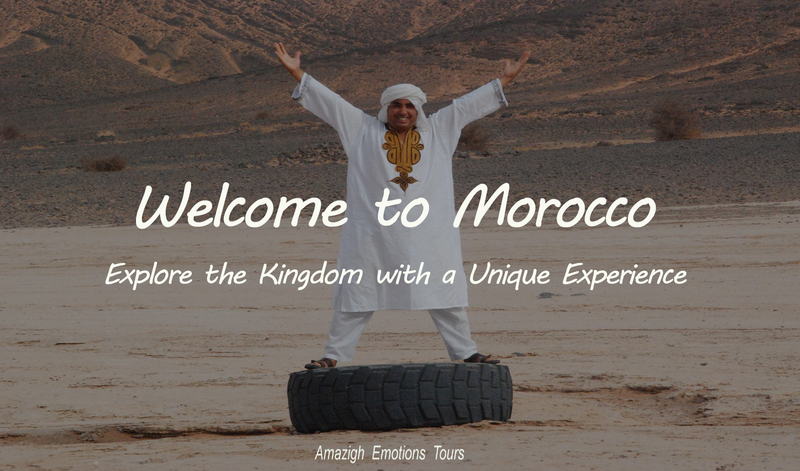 After lunch, we start visiting the city with the Hassan Tower and the Mohammed V mausoleum, the Oudaya Kasbah (the old medina of Moriscos) and the famous Kasbah Challa. Overnight at Hotel Riad. Day 2: Rabat - Meknes - Volubilis - Fez (240 km): After breakfast, departure to Fez via Meknes versaille the country. 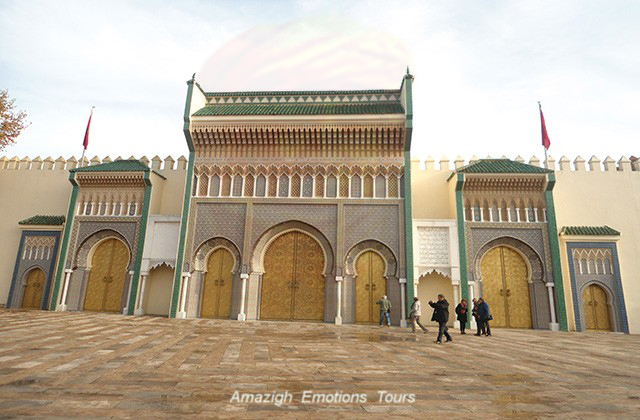 You will visit its famous gates of Bab El Mansour, the mausoleum with stables Moulay Ismail and Sahrij Swani basin. Lunch will be at a restaurant in the medina. 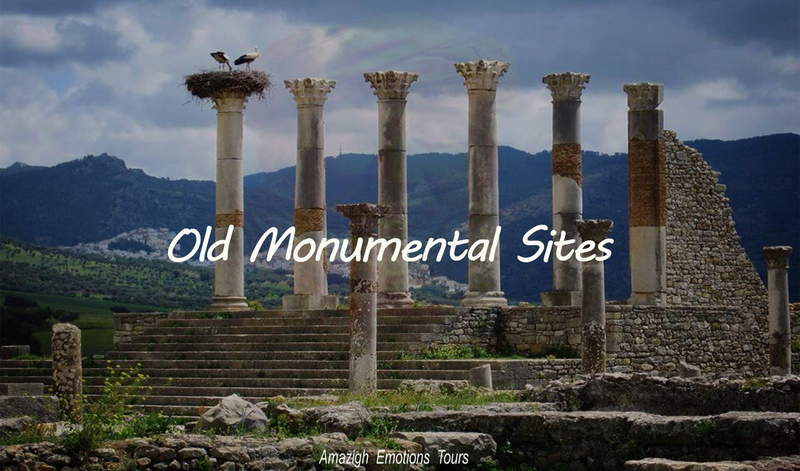 Afternoon, we head to Fez by visiting the Roman city of Volubilis. Dinner and overnight in a Riad Hotel. 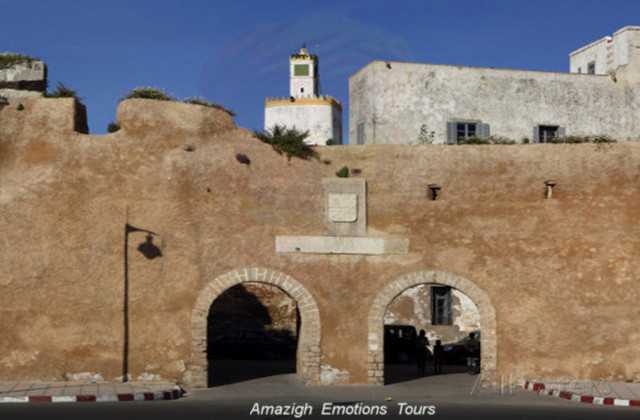 Day 3: Fez - Cultural City Tour: The whole day will be a city tour dedicated to the discovery of Fez, the oldest imperial cities and the old city founded by Moulay Idriss II. Visit the Royal Palace, the Merinides tombs with neighborhood pottery and lunch in a local restaurant. 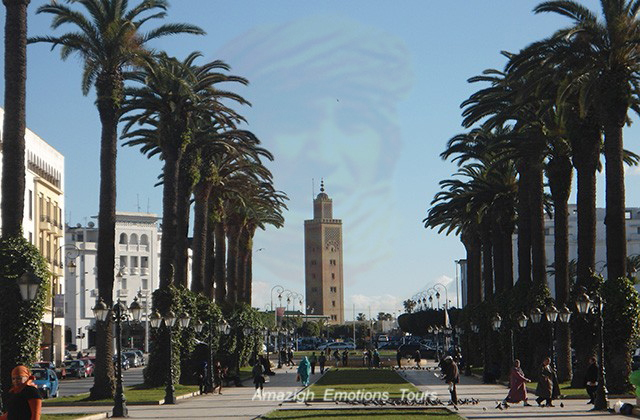 In the afternoon visit the medina and its souks, the madrasa Bou Inania, instead Nejjarine and Karaouienne Mosque. Then back to the Riad and overnight. Day 4: Fez - Midelt - Erfoud - Merzouga (460 km): Early departure to the desert of Erg Chebbi via Ifrane (Morocco's Switzerland), Azrou with its forest and monkeys of the single cedar Middle Atlas, then this is Midelt (the city of apples) after passing Zad (2178 m) and lunch. After we enter the area of the valley and gorges Ziz, the blue source of Meski remaining with beautiful views of the oasis and pre-Saharan Kasbah. 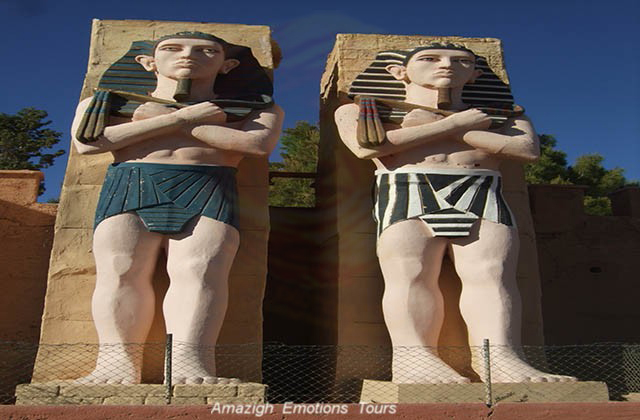 Visit the marble factory & Fossils of Erfoud and finally we continue with desert landscapes to reach the dunes of Merzouga. Night in a Kasbah Hotel. Day 5: Merzouga - Erg Chebbi Tour (120 km track): At 9 am, we start doing the grand tour of the dunes, we cross desert plates as salt lakes, black desert and temporary rivers, the Paris-Dakar track to meet local nomads, old mines Mifis, oases and villages as the village of Khamlia Gnawa origins are from Sudan. 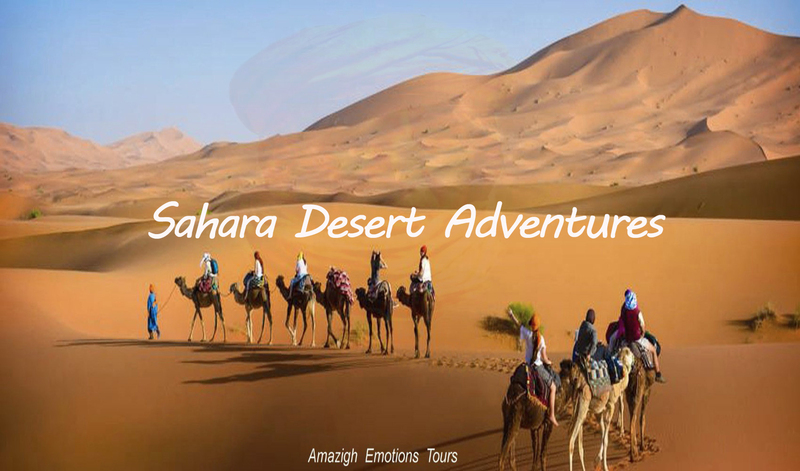 After lunch, which will be on the road, we return to the hotel for the departure of the caravan camels to watch the sunset and the sunrise in the desert, enjoying a quiet night under shooting stars and nomadic tents. Day 6: Merzouga - Rissani - Tinghir (320 km): After your camp return, breakfast and shower. 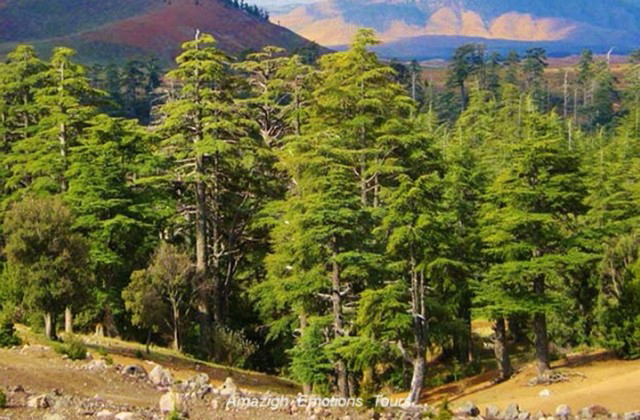 We're going to the direction of Toudgha via Rissani visiting the mausoleum of Rissani "the founder of the Alawite dynasty" and Ksar Oulad Abdel Halim. Then continue to Erfoud and small towns and oases like Jorf with its ancient irrigation systems "Fougarras" Touroug Tinejdad and where we have lunch. 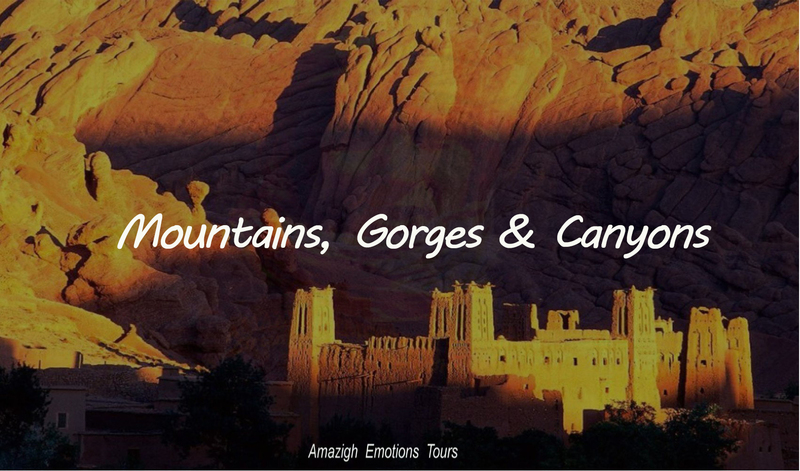 Arriving in the Todra Gorge, a short walk is recommended before installing in your hotel or guest house and night. Day 7: Tinghir - Boumalen Dades - Ouarzazate (240 km): In the morning we leave the Todra Gorge to Ouarzazate on the road of thousand Kasbahs. 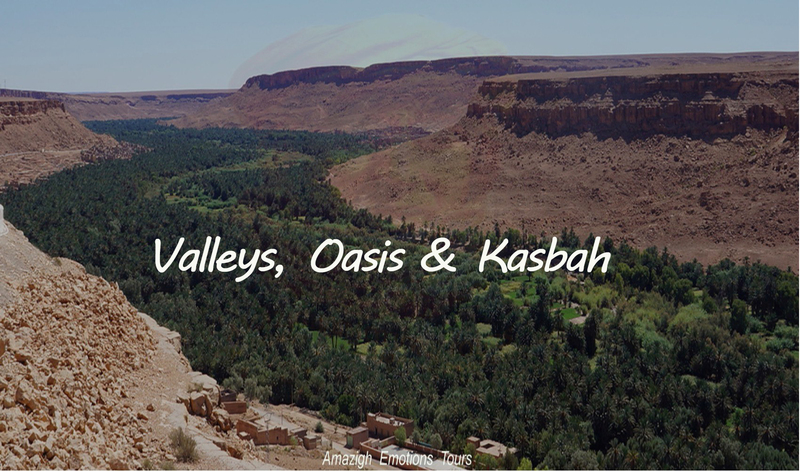 We cross the valley and Dades gorges Boumalne, the valley of roses Kalaat M'Gouna (the capital of roses), then visit the Kasbah Amridil in the large palm of Ouarzazate and the Kasbah Taourirte (Old Town Ouarzazate). After lunch break, we will visit a good Fint oasis located between the large black rocks of the mountains of the Anti-Atlas ... Dinner and overnight at Riad Hotel. Day 8: Ouarzazate - Ait Ben Haddou - Marrakech (230 km): After breakfast, we visit our Hollywood village that has become a famous movie center in Africa. 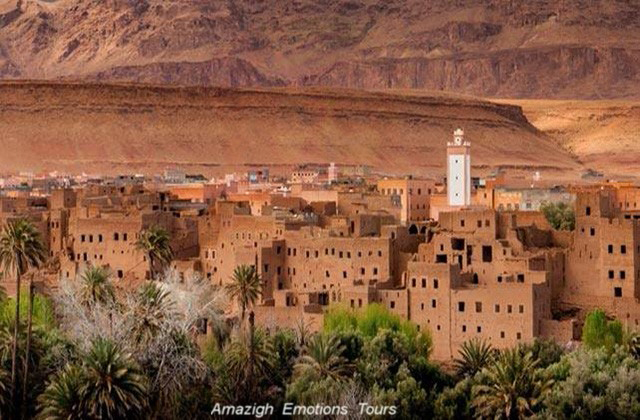 Continue along the Ounila valley by the old route of salt caravans and gold ... and visit the famous Kasbah of Ait Ben Haddou, then the Kasbah of Pacha Glaoui in Telouet and lunch on the spot. Then, through the Tichka pass (2260m) and the Berber villages, we arrived in Marrakech late afternoon, dinner and overnight at Riad Hotel. 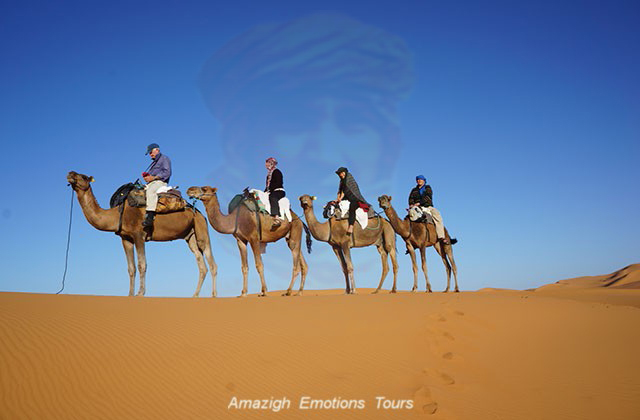 Day 9: The City Tour of Marrakech: Throughout the day, you can visit the city of Marrakech (the pearl of the south). 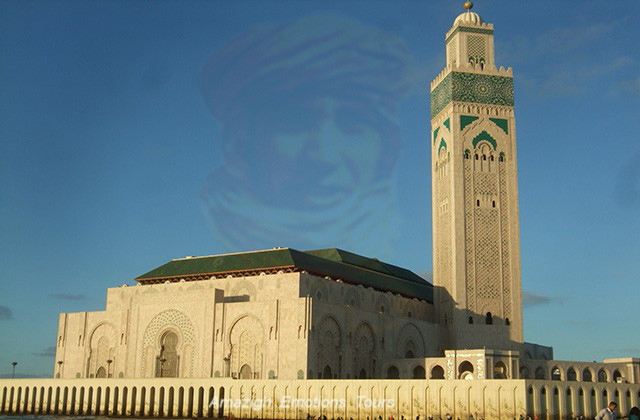 You will visit the Koutoubia Mosque with its beautiful garden, the Saadian Tombs, the Palais Badii / Bahia, the Koran madrasa Ibn Youssef and lunch in typical Moroccan restaurant. 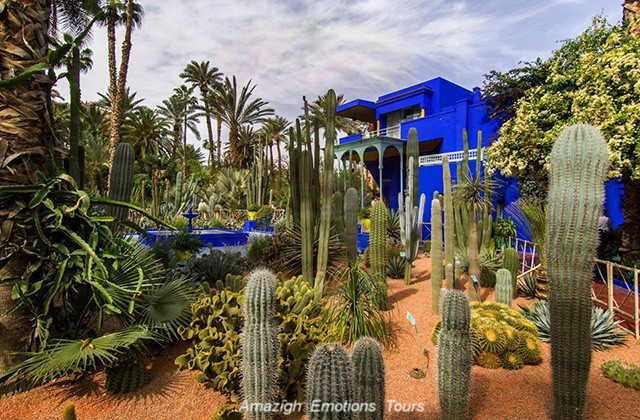 In the afternoon we visit the Majorelle gardens and Menara basin. 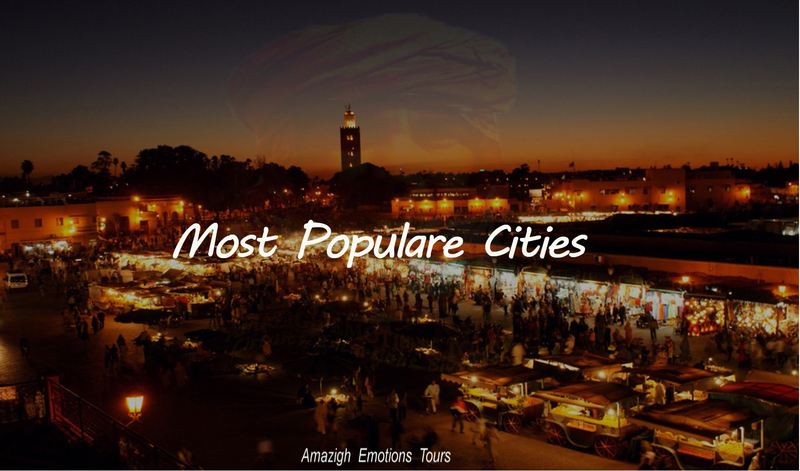 The evening is free to walk in the Medina with its souks and famous Jemaa el-Fna square (Marrakech per night). Night in a Riad Hotel. Day 10: Marrakech - Chichaoua - Essaouira (170 km): Depart at 9 am, we leave Marrakech driving on the direction Essaouira nicknamed the Windy City. 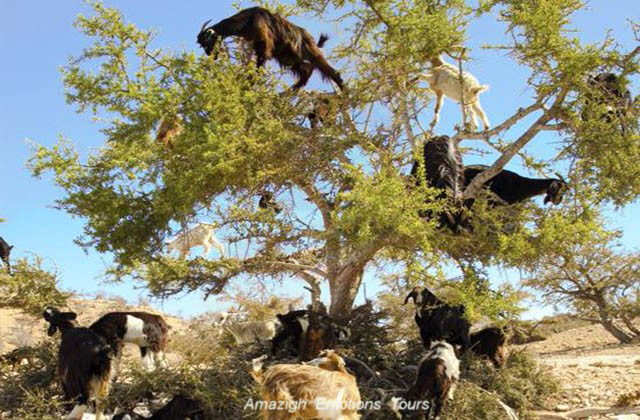 We will pass on the argan forest where goats are in the treetops ... We reach the city center and lunch at the old harbor with fresh fish. 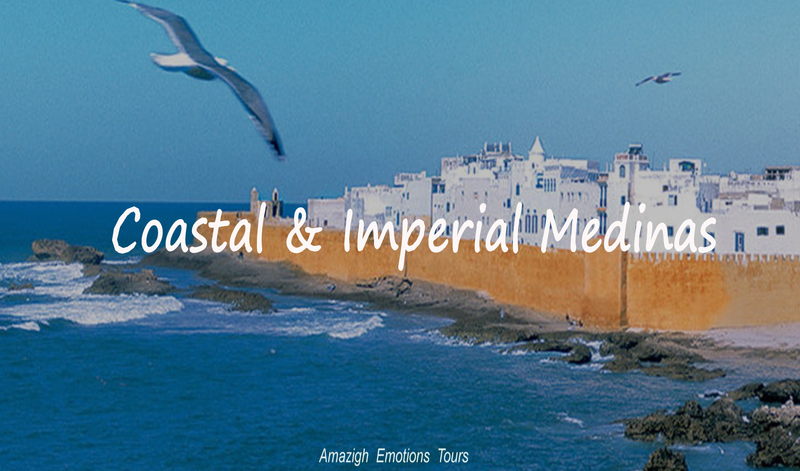 Afternoon, visit the medina and its souks which is a former Portuguese fort. Then you'll have free time to walk along the sea ... Overnight at the Riad. Day 11: Essaouira - Oualidia - El Jadida (255 km): Early departure after breakfast to the city of El Jadida along the coastal road. We cross the city of Oualidia and Safi known for its beautiful pottery to reach El Jadida where we have lunch. After you'll have the opportunity to visit the old medina, which is a former Portuguese fort declared by Unesco as World Heritage and known with its great citadel and bastions ... Overnight at hotel. Day 12: El Jadida - Casablanca City / The Airport Mohamed V (110 km): The last stage of the trip will start with calm after breakfast. 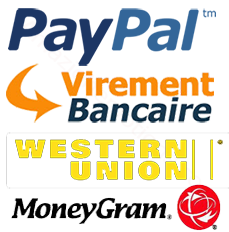 We go to Casablanca and transfer directly to the airport (depending on your flight), or otherwise transfer to your accommodation and end of our services. - The prices of our circuits depends the number of customers, the travel season and accommodation category ... etc.